Kudos to Regina King, Tracee Ellis Ross, and Issa Rae for bringing Wakanda to Crenshaw. 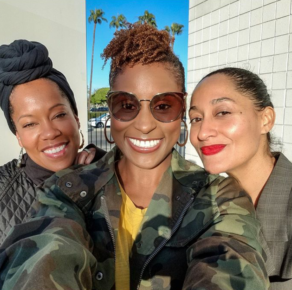 These three beautiful women teamed up Saturday (Feb.24) to provide children in Los Angeles with free tickets to see the number one movie in the world , Black Panther. The trio rented out a theater at Rave Cinemas (formerly the Magic Johnson Theater) at the Baldwin Hills Crenshaw Mall and provided free tickets, popcorn, and drinks to kids 13 and younger and their parents.